Spontaneously we have become invited at #undsonstso, a quite fancy event series that takes place in different new locations all over Dresden. A group of young creative people interested in start ups and social impact initiatives meet every 1st Thursday in a month to give a stage to two speakers. Last Thursday it was us! Claudia presented the concept of Mic4Peace to a very interested audience at Produzentengalerie Dresden. They invited #undsonstso to their gallery to present the project and the art works. 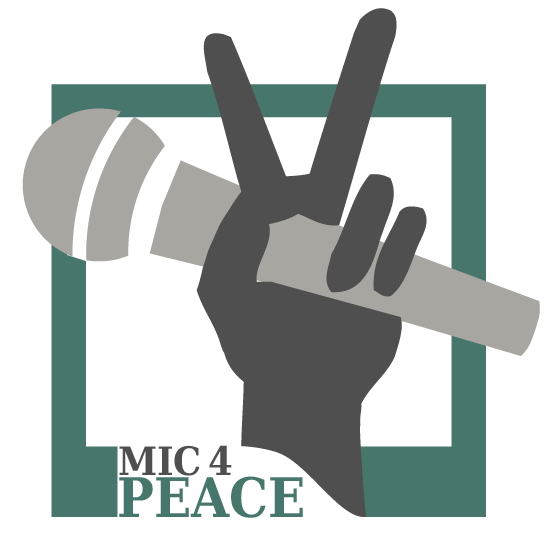 Mic4Peace was meant to be the second speaker. After the concept was made clear, Siavash took over and shared his ideas and stories in “Darkness is scary” as an example for a #peaceslam. The audience was quite moved, there were no questions asked when we finished the presentations. But after a while quite some people showed up to talk to us, to invite us to their stage or to involve us in their initiative – what a great output! The UNU-Flores in Dresden invited us to their this year’s UN Day Open House (https://flores.unu.edu) 24 October about 3.45 p.m. at World Trade Center. Please check our page at Facebook where we will put further details soon. For the UN Day we will have four female slammers from Iran and India on stage. For the final day of this year’s MoveIt Film Festival (www.moveit-festival.de/en) we will present our Peace Slam to the cinema audience. There will be chosen festival movies before and after the slam. The International Peace Slam starts Wednesday, 15 November 2017 at 8.15 p.m.